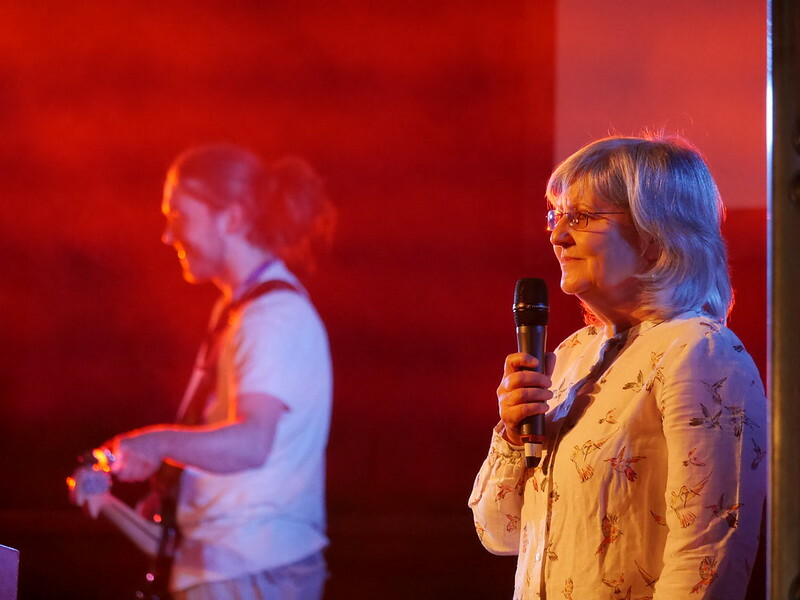 The sixth Diocesan Festival took place on Saturday 23 and Sunday 24 June 2018 at the Emmaus Youth Village in Consett. This year’s theme was ‘Encounter’ and there were inspirational talks from Magnus MacFarlane-Barrow OBE, Sr. Judith Russi and Sara Bryson. It included prayer, liturgy, reflection, discussion and music and was an opportunity for our whole Diocesan family to come together to celebrate and to be encouraged in our faith. Diocesan Summer Festival is a hit! Fantastic speakers, uplifting music, inspiring liturgy and plenty of sunshine, it was a recipe for success and it didn’t let us down. Now in its sixth year, the Festival goes from strength to strength, bringing together people from all over our Diocese to celebrate their faith and enjoy being together. We heard three different takes on our theme 'Encounter', ways in which people have encountered God and each other and allowed it to change their lives and just like the lawyer to whom Jesus told the Good Samaritan, we were challenged to go and do the same. It was powerful stuff and no-one was left unmoved, but it wasn’t all so serious; games down on the campsite, the ever-popular ice-cream van, a Caribbean steel band and the Saturday night cèilidh all added to the festival feel. Why not book a coach for your Partnership and join us next year? It’s always the last weekend of June and whilst we can’t guarantee sunshine, we can guarantee a great time!